My group studies the role of cadherin cell adhesion molecules in morphogenesis and tumor development. E-cadherin is a key mediator of cell-cell recognition. It participates in tissue patterning and its dysfunction contributes to tumor progression and invasion. 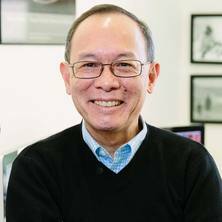 Associate Professor Yap is the group leader for Cadherin cell adhesion molecules, Epithelial morphogenesis & Cell locomotion research at the IMB. We seek to understand the cellular basis of cadherin recognition, and how this controls cell movement and organisation. We are studying the molecular and cellular mechanisms by which cadherin cell adhesion molecules mediate cell-cell recognition. Our current work builds on two recent discoveries made by my lab. Firstly, we found that E-cadherin, the principal cadherin molecule found in epithelial tissues, functions as an adhesion-activated cell signaling receptor. In particular, upon adhesion E-cadherin activates signaling via the small GTPase, Rac, and the lipid kinase PI3-kinase. Finally, an important potential target of this signaling receptor is the Arp2/3 protein complex, a protein machine that nucleates assembly of actin filaments. We were the first to discover that E-cadherin interacts with the Arp2/3 complex to mark sites for actin assembly within cells. We are now exploring the general hypothesis that cadherin-activated signaling controls the subcellular localization and activity of Arp2/3 to modulate cell shape changes and motility in response to productive cell-cell recognition. The enemy within: epithelial defence against cell death. Cadherins and cancer: how does cadherin dysfunction promote tumor progression? Jarrett, O., Stow, J. L., Yap, A. S. and Key, B. (2002) Dynamin-dependent endocytosis is necessary for convergent-extension movements in Xenopus animal cap explants. International Journal of Developmental Biology, 46 4: 467-473. Brieher, Adhesion William, Yap, Alpha, Zhong, Yun and Gumbiner, Barry M. (1997) Biochemistry and regulation of cadherin-mediated. FASEB Journal, 11 9: . Yap, A. S., Armstrong, J. W., Cragoe Jr., E. J., Bourke, J. R., Huxham, G. J. and Manley, S. W. (1993) Activation of sodium transport mediates regulation of thyroid follicle volume in response to hypotonic media. American Journal of Physiology - Endocrinology and Metabolism, 264 4 27-4: . Yap, AS, Armstrong, JW, Cragoe, EJ, Bourke, JR, Huxham, GJ and Manley, SW (1993) Activation of Sodium-Transport Mediates Regulation of Thyroid-Follicle Volume in Response to Hypotonic Media. American Journal of Physiology, 264 4: E644-E649. Yap, AS, Hockings, GI, Fleming, SJ and Khafagi, FA (1990) Use of Aminohydroxypropylidene Bisphosphonate (Ahprbp, Apd) for the Treatment of Hypercalcemia in Patients with Renal Impairment. Clinical Nephrology, 34 5: 225-229. Roberts, JM, Yap, AS, Khafagi, FA and Lloyd, HM (1990) Multiple Endocrine Neoplasia Type-2B - Long-Term Follow-Up of a Case. Medical Journal of Australia, 153 5: 292-295. Yap, AS, Hockings, GI and Boyle, PD (1990) Hyperkalemia Associated with Diarrhea. Annals of Internal Medicine, 112 6: 470-470. Yap, Alpha (2017). Adherens junctions, force-sensing, and epithelial homeostasis. In: Annual Meeting of the American Society for Pharmacology and Experimental Therapeutics (ASPET) at Experimental Biology Meeting, Chicago Il, (). 22-26 April 2017. Priya, R., Gomez, G. A., Budnar, S., Verma, S., Hamilton, N. A. and Yap, A. S. (2015). Patterning Rho signaling at the epithelial Zonula Adherens: a tale of feedback loops. In: Molecular Biology of the Cell. 2015 Cell Biology ASCB Annual Meeting, San Diego CA, United States, (). 12-16 December 2015. Yap, Alpha, Alberts, Art, Nelson, W. James, Luca, Frank, Kaibuchi, Kozo, Peter, Matthias, Chang, Fred, Borisy, Gary, Drubin, David, Gundersen, Gregg and Schejter, Eyal (2005). Discussion. In: , , (219-222). .
Borisy, Gary, Braga, Vania, Chang, Fred, Harden, Nick, Humphries, Martin, Kaibuchi, Kozo, Lim, Louis, Nelson, W. James, Sheetz, Michael, Titus, Margaret A. and Yap, Alpha (2005). Discussion. In: , , (155-158). .
Firtel, Richard, Alberts, Art, Nelson, W. James, Mostov, Keith, Lane, David, Sheetz, Michael, Takenawa, Tadaomi and Yap, Alpha (2005). General discussion I. In: , , (30-34). .
Smart, C. E., Simpson, K. J., Manning, N. W., Karunaratne, S. M., Edwards, S., Yap, A. S. K., Rothnagel, J. A., Visvader, J. E., Lindeman, G. J. and Brown, M. A. (2005). Altered cytokeratin and vimentin expression in mammary epithelial cells with disrupted BRCA1 function. In: Proceedings of the Familial Cancer 2005: Research and Practice. Familial Cancer 2005: Research and Practice, Couran Cove, (). 30 Aug - 3 Sept, 2005. Kovacs, EM, Helwani, FM, Weed, SA and Yap, AS (2002). Cortactin: A key mediator of cadherin-directed actin assembly. In: Molecular Biology of the Cell. 42nd Annual Meeting of the American-Society-for-Cell-Biology, San Francisco California, (8A-8A). Dec 14-18, 2002. Manning, N. W., Simpson, K. J., Karunaratne, S. M., Yap, A. S. K., Visvader, J. E., Lindeman, G. J. and Brown, M. A. (2002). A role for BRCA1 in mammary epithelial morphogenesis, differentiation and adhesion. In: Proceedings of the Australian Health & Medical Research Conference. Australian Health & Medical Research Conference, Melbourne, Australia, (). November, 2002. Ali, RG, Kovacs, EM and Yap, AS (2001). E-cadherin activates PI3-kinase and Rac1 signaling to mediate adhesive contact formation. In: Molecular Biology of the Cell. , , (479A-479A). .
Yap, AS, Ali, R, Goodwin, M, McCormack, A, Paterson, A, Scott, J and Kovacs, EM (2001). E-cadherin signaling to the actin assembly machinery is necessary for dynamic adhesive recognition. In: Molecular Biology of the Cell. , , (349A-350A). .
Goodwin, MK, Reynolds, AB and Yap, AS (2001). p120 binding to E-cadherin influences cadherin directed actin assembly. In: Molecular Biology of the Cell. , , (479A-479A). .
Paterson, A. D., Stow, J. L. and Yap, A. S. (2001). E-cadherin is internalized via a dynamin-dependent pathway and is trafficked to sorting endosomes. In: Molecular Biology of the Cell. -, -, (479A-479A). -. Regulation of E-cadherin endocytosis by protein kinase C.
Stow, J. L., Le, T. L. C. and Yap, A. S. K. (2000). Regulation of E-cadherin endocytosis by protein kinase C.. In: Molecular Biology of the Cell (Journal). 40th Anniversary Meeting, American Society for Cell Biology, Moscone Convention Center, San Francisco, California, (116A-116A). 9-13 December 2000. Le, T. L., Yap, A. S. and Stow, J. L. (1999). Endocytosis and recycling of E-cadherin: A potential mechanism for regulating cell adhesion. In: Molecular Biology of the Cell. -, -, (410A-410A). -. Le, C., Yap, A. S. K. and Stow, J. L. (1999). Recycling of the Epithelial adhesion protein, E-Cadherin. In: Combined Conference Abstracts: 43rd Annual ASBMB, 18th Annual ANZSCDB and 39th Annual ASPP. ComBio 99, Conrad Jupiters, Gold Coast, (Pos-Mon-96). 27-30 September, 1999. Supplementary Figure 1, (e) of the paper Feedback regulation through myosin II confers robustness on RhoA signalling at E-cadherin junctions. Data collection for 'Feedback regulation through myosin II confers robustness on RhoA signalling at E-cadherin junctions." Rashmi Priya, Gomez, Guillermo, Budnar, Srikanth, Verma, Suzie, Hayley Cox, Hamilton, Nicholas A. and Yap, Alpha S.K. (2016): Data collection for 'Feedback regulation through myosin II confers robustness on RhoA signalling at E-cadherin junctions.". The University of Queensland, Macmillan Publishing. Collection. Supplementary Figure 1, (a) of the paper Feedback regulation through myosin II confers robustness on RhoA signalling at E-cadherin junctions. Supplementary Figure 1, (c) of the paper Feedback regulation through myosin II confers robustness on RhoA signalling at E-cadherin junctions. Supplementary Figure 1, (g) of the paper Feedback regulation through myosin II confers robustness on RhoA signalling at E-cadherin junctions. Supplementary Figure 1, (h) of the paper Feedback regulation through myosin II confers robustness on RhoA signalling at E-cadherin junctions. Supplementary Figure 1, (i) of the paper Feedback regulation through myosin II confers robustness on RhoA signalling at E-cadherin junctions. Supplementary Figure 1, (j) of the paper Feedback regulation through myosin II confers robustness on RhoA signalling at E-cadherin junctions. Supplementary Figure 1, (k) of the paper Feedback regulation through myosin II confers robustness on RhoA signalling at E-cadherin junctions. Supplementary Figure 1, (l) of the paper Feedback regulation through myosin II confers robustness on RhoA signalling at E-cadherin junctions. Supplementary Figure 1, (m) of the paper Feedback regulation through myosin II confers robustness on RhoA signalling at E-cadherin junctions. Supplementary Figure 2, (a) of the paper Feedback regulation through myosin II confers robustness on RhoA signalling at E-cadherin junctions. Supplementary Figure 2, (b) of the paper Feedback regulation through myosin II confers robustness on RhoA signalling at E-cadherin junctions. Supplementary Figure 2, (c) of the paper Feedback regulation through myosin II confers robustness on RhoA signalling at E-cadherin junctions. Supplementary Figure 2, (d) of the paper Feedback regulation through myosin II confers robustness on RhoA signalling at E-cadherin junctions. Supplementary Figure 2, (e) of the paper Feedback regulation through myosin II confers robustness on RhoA signalling at E-cadherin junctions. Supplementary Figure 2, (f) of the paper Feedback regulation through myosin II confers robustness on RhoA signalling at E-cadherin junctions. Supplementary Figure 2, (g) of the paper Feedback regulation through myosin II confers robustness on RhoA signalling at E-cadherin junctions. Supplementary Figure 2, (h) of the paper Feedback regulation through myosin II confers robustness on RhoA signalling at E-cadherin junctions. Supplementary Figure 2, (i) of the paper Feedback regulation through myosin II confers robustness on RhoA signalling at E-cadherin junctions. Supplementary Figure 2, (j) of the paper Feedback regulation through myosin II confers robustness on RhoA signalling at E-cadherin junctions. Supplementary Figure 2, (k) of the paper Feedback regulation through myosin II confers robustness on RhoA signalling at E-cadherin junctions. Supplementary Figure 2, (l) of the paper Feedback regulation through myosin II confers robustness on RhoA signalling at E-cadherin junctions. Supplementary Figure 2, (m) of the paper Feedback regulation through myosin II confers robustness on RhoA signalling at E-cadherin junctions. Supplementary Figure 3, (a) of the paper Feedback regulation through myosin II confers robustness on RhoA signalling at E-cadherin junctions. Supplementary Figure 3, (b) of the paper Feedback regulation through myosin II confers robustness on RhoA signalling at E-cadherin junctions. Supplementary Figure 3, (c) of the paper Feedback regulation through myosin II confers robustness on RhoA signalling at E-cadherin junctions. Supplementary Figure 3, (d) of the paper Feedback regulation through myosin II confers robustness on RhoA signalling at E-cadherin junctions. Supplementary Figure 3, (e) of the paper Feedback regulation through myosin II confers robustness on RhoA signalling at E-cadherin junctions. Supplementary Figure 4, (a) of the paper Feedback regulation through myosin II confers robustness on RhoA signalling at E-cadherin junctions. Supplementary Figure 4, (b) of the paper Feedback regulation through myosin II confers robustness on RhoA signalling at E-cadherin junctions. Supplementary Figure 4, (c) of the paper Feedback regulation through myosin II confers robustness on RhoA signalling at E-cadherin junctions. Supplementary Figure 4, (d) of the paper Feedback regulation through myosin II confers robustness on RhoA signalling at E-cadherin junctions. Supplementary Figure 4, (e) of the paper Feedback regulation through myosin II confers robustness on RhoA signalling at E-cadherin junctions. Supplementary Figure 4, (f) of the paper Feedback regulation through myosin II confers robustness on RhoA signalling at E-cadherin junctions. Supplementary Figure 4, (g) of the paper Feedback regulation through myosin II confers robustness on RhoA signalling at E-cadherin junctions. Supplementary Figure 4, (h) of the paper Feedback regulation through myosin II confers robustness on RhoA signalling at E-cadherin junctions. Supplementary Figure 4, (i) of the paper Feedback regulation through myosin II confers robustness on RhoA signalling at E-cadherin junctions. Supplementary Figure 5, (a) of the paper Feedback regulation through myosin II confers robustness on RhoA signalling at E-cadherin junctions. Supplementary Figure 5, (b) of the paper Feedback regulation through myosin II confers robustness on RhoA signalling at E-cadherin junctions. Supplementary Figure 5, (c) of the paper Feedback regulation through myosin II confers robustness on RhoA signalling at E-cadherin junctions. Supplementary Figure 5, (d) of the paper Feedback regulation through myosin II confers robustness on RhoA signalling at E-cadherin junctions. Supplementary Figure 5, (e) of the paper Feedback regulation through myosin II confers robustness on RhoA signalling at E-cadherin junctions. Supplementary Figure 5, (f) of the paper Feedback regulation through myosin II confers robustness on RhoA signalling at E-cadherin junctions. Supplementary Figure 5, (g) of the paper Feedback regulation through myosin II confers robustness on RhoA signalling at E-cadherin junctions. Supplementary Figure 5, (h) of the paper Feedback regulation through myosin II confers robustness on RhoA signalling at E-cadherin junctions. Supplementary Figure 5, (i) of the paper Feedback regulation through myosin II confers robustness on RhoA signalling at E-cadherin junctions. Supplementary Figure 5, (j) of the paper Feedback regulation through myosin II confers robustness on RhoA signalling at E-cadherin junctions. Tissue tension homeostasis by junctional mechanosensing. Controlling the Rho off-switch: a novel target in breast cancer. How do invasive breast cancer cells escape the mother tumor? Actin cytoskeleton regulation by E-cadherin and Src. The role of Crim1 in growth factor activity and cell motility/adhesion. Microtubule capture by E-cadherin: a novel mechanism for dynamic cell-cell adhesion. Preserving junctions: regulating cadherins by Rho and Myosin 2. Control of actin assembly by cell-cell adhesion: molecular effectors and higher order function. Recycling of E-Cadherin: Implications for dynamic cell adhesion. Modelling and simulation of contraction and pattern formation in the epithelial cell cortex.